As we grow older, our lives can change in big and small ways. Over time, we may need to look carefully at our lifestyle and the type of care we need. An assisted living facility is a type of senior living community designed for people who want to ‘age in place’ and enjoy a high level of personal freedom while receiving help for essential daily tasks. Brisbane offers a wide range of senior assisted living options, from resort-style, luxury elderly apartments to a quiet independent assisted living facilities in the suburbs, and intimate cottages that have a small number of residents. Of course, you want to feel confident that your loved one will feel safe, happy, independent and well-cared for in their new home. So how do you find the right assisted living facility to call home? How do I choose the right assisted living facility? It’s worthwhile to put time and effort into finding the right fit. This eBook is designed to help guide you through the process. Start your decision-making process by making a list of priorities. What are the most important features you are looking for in a new home? Does your loved one have any specific needs, for example, dementia care? Create a list of assisted living options in your area, ideally close to your loved one’s friends and family. Not sure where to start? We have a helpful list of Brisbane assisted living facilities in this eBook. Research each facility thoroughly. Don’t forget to look at online reviews! Create a list of questions to ask staff and residents living at the facility. Interview and visit each facility in person. We recommend interviewing multiple assisted living facilities before making your final choice. To help make this overwhelming process easier, here are 70 questions to consider when choosing an assisted living facility. 1. Is the community close to shops, doctor’s offices, a pharmacy, and other important places? 2. Is the location convenient for family and friends to visit? 3. Is the neighbourhood quiet, safe and pleasant? 4. Does the assisted living facility feel welcoming? 5. Are the rooms spacious? 6. Do rooms have plenty of lighting and attractive views? 7. Is the building’s exterior clean and attractive? 8. Is the assisted living facilities interior clean, tidy and well-maintained? 9. Are the grounds attractive with plenty of greenery, plants and trees? 10. If the assisted living centre is a community, how does the community design and layout feel? 11. If the assisted living facility is in a single home or building, Is it well-designed and easy to navigate? 12. Are their internal plants, and do they look well cared for (free of dust and well maintained)? 13. Is there a nice garden or outdoor area that provides a place to relax? 14. Do most residents have a private room or share a room? 15. Are there plenty of breakaway spaces for residents and visitors, to provide a balance of privacy and social interaction? 16. Can residents personalise and decorate their own apartment? 17. Does each room have a private bathroom, or are bathrooms shared? Are they designed to accommodate wheelchairs and walkers? 18. Do individuals have the opportunity and space to cook meals for themselves. 19. Are there a wide range of activities available for residents? How often do they happen? 20. How are these activities chosen? Are these activities tailored to residents’ needs and interests? Can residents volunteer ideas? 21. Are residents given a choice in whether or not to participate? 22. Do residents have regular day trips or day excursions? 23. Do residents have regular interaction with the outside local community? 24. Do volunteers visit the community? 25. Are there shared pets in the community (dogs, cats, fish, or birds)? 26. What is the quality of the food? Are all provided meals made with fresh, quality ingredients? 27. Is the food appealing to the senses? 28. What is the food budget? 29. How often is the menu changed? 30. Is there flexibility in the menu to accommodate specific dietary needs or special requests? 31. How many meals are provided daily? 32. What is the dining experience like? 33. Are the dining rooms clean and attractive? 34. Can visiting family members join the residents for meals? 35. Can you try a sample of the food? 36. Are hallways well lit and easily navigable, with handrails and plenty of room for wheelchairs? 37. How many leisure rooms are there where the residents can spend time with each other and with visiting family members? 38. Are the common spaces in the community pleasant and appealing? Can you imagine your loved one using these common spaces? 39. Is there adequate closet and storage space? 40. Is there a private room available for family celebrations or private family dinners? 41. What is the staff to elderly resident ratio? 42. Are staff familiar with each resident’s medical needs and unique requirements? 43. Do residents have the chance to form trust and meaningful relationships with care providers? 44. Do carers make an effort to connect with residents and get to know them personally? 45. How frequently do residents receive visits from doctors, nurses and medical specialists? 46. How do staff safely administer, monitor, and assist a resident in taking medicine? 47. What physical, occupational, or therapeutic services are available on-site? 48. What is the staff turnover at the assisted living facility? 49. How many hours do the staff work on average? Do staff work double shifts? 50. Are they required to multitask or have more than one job function? 51. What support does the assisted living facility provide staff to support their wellbeing? 52. Are staff professionally qualified? 53. How long do care staff receive training? 54. Do staff receive mentoring and on-going professional development? 55. How are medical emergencies handled? 56. Does the assisted living facility have a clearly stated procedure for responding to medical emergencies? 57. Is there an arrangement with a nearby hospital? 58. Are staff equipped to handle communication issues with residents from non-English speaking families? 59. What are the assisted living facility’s online reviews like? If there are negative online reviews, what is the organisation’s response? 60. What makes the assisted living community’s services different from competitors? 61. Talk to the residents – Are they genuinely happy? 62. What furnishings are provided? Are the furnishings high-quality and comfortable? 63. What mattress is used and are allergies taken into consideration? 64. Do the rooms offer heating and cooling? 65. Are there ample lifts and ramps? 66. How many panic alarms are in a room? 67. Does the home have fire safety sprinklers installed? 68. Do the fire exits work? If your elderly loved one is restricted in movement, how long would it take to get to the nearest fire exit? 69. Is there easy parking available for residents, including handicapped spaces? 70. If your family member will be bringing a car, is parking provided? Not sure where to start with finding assisted living accommodation in Brisbane? We’ve collected a list of the top assisted living facilities in Brisbane to get you started. Wishart Gardens offers both independent retirement living and permanent residential aged care with dementia specific care available. Brookfield Green is a serene senior community where you can live hotel-style with your own private room and en-suite, with independent assisted living. Cedarbrook is a master-planned community designed exclusively for seniors with hotel-style assisted living suites and permanent residential care for individuals who need full-time care. They offer memory-assisted care for those living with dementia. Clifford House is an aged care community offering a tranquil and active lifestyle. Colthup Manor provides permanent residential care in a comfortable, peaceful Queenslander homestead. This facility accommodates memory assisted living (dementia care). Greengate’s vibrant communities include independent apartment living and modern aged care homes. St Luke’s Green offers modern independent living apartments with the option for in-home services, as well as a boutique aged care home catering to all levels of care. St Faber’s Green is a newly built retirement and senior living community, featuring 1, 2 and 3-bedroom apartments. Alzheimer’s Queensland is a founding member of Alzheimer’s Australia and the largest Alzheimer’s Association in Australia. Dedicated to empowering older people, especially people with dementia and their carers, to maintain independence and a socially valued life, Alzheimer’s Queensland specialises in independent assisted living units and nursing homes for people with dementia. Garden City Aged care provides a mixture of independent living and community assisted living for individuals of all backgrounds and medical needs, with a team dedicated to dementia care. Rosalie Nursing Care Centre specialises in female-only holistic dementia care. If your loved one requires a higher level of care, this may be the right choice. Windsor Aged Care Services delivers a full spectrum of aged care services to help your elderly loved one sustain a high quality of life. 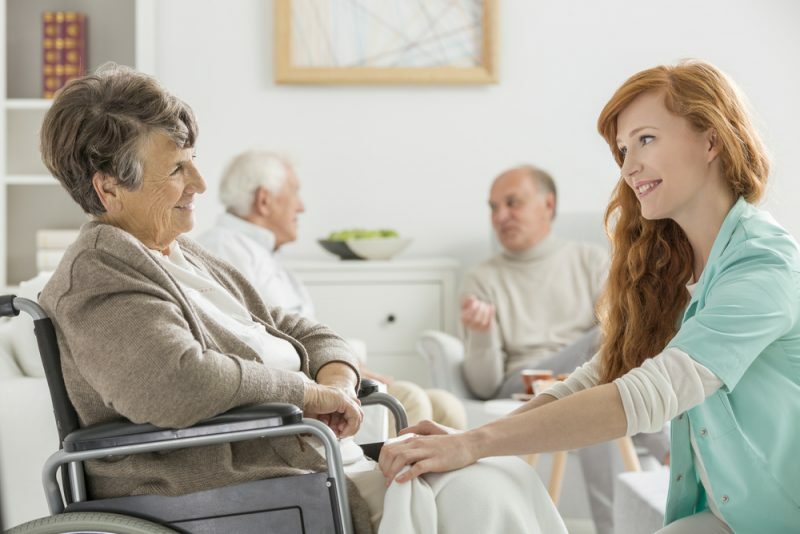 Selecting an assisted living facility can be difficult, but it’s helpful to know your priorities and what is important to you. Take the time to research, read online reviews and ask thorough questions. Going for a visit — or several — can help you determine if the community will be right for your loved one. Proactively asking questions will help you find the right assisted living facility: one that supports a high quality of life and well-being and suits your loved one’s desired lifestyle.